Every year at around about this time I experience a creeping sense of conflict. I'm not one driven by patriotism, indeed I'm often downright suspicious of it. And this applies especially to F1, wherein nationalities have never mattered a jot to me. 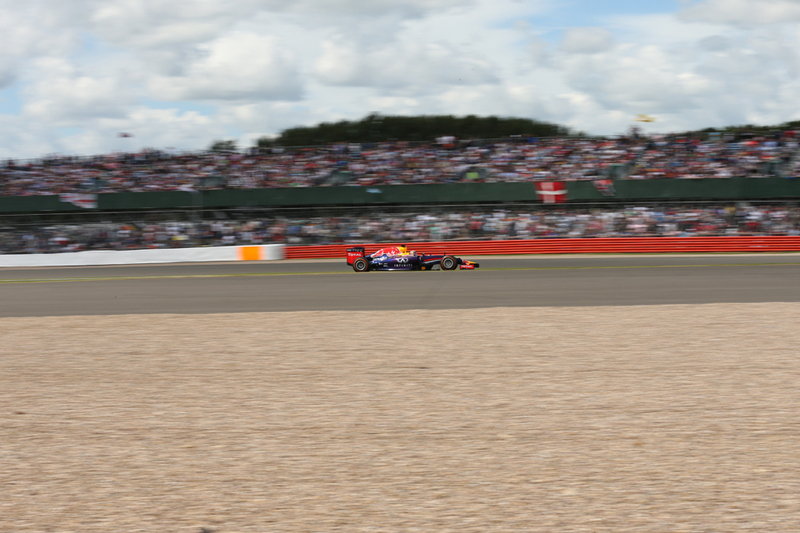 But even I cannot deny that there is something special about the British Grand Prix. It can't even be said that the appeal of its hardy host of Silverstone is immediately and universally apparent. In contrast to many 'prestige' F1 circuits which seem to fit quintessentially into their surroundings, Silverstone even all these decades on retains a feel of being rather imposed on a barren, windswept wartime airfield plain. 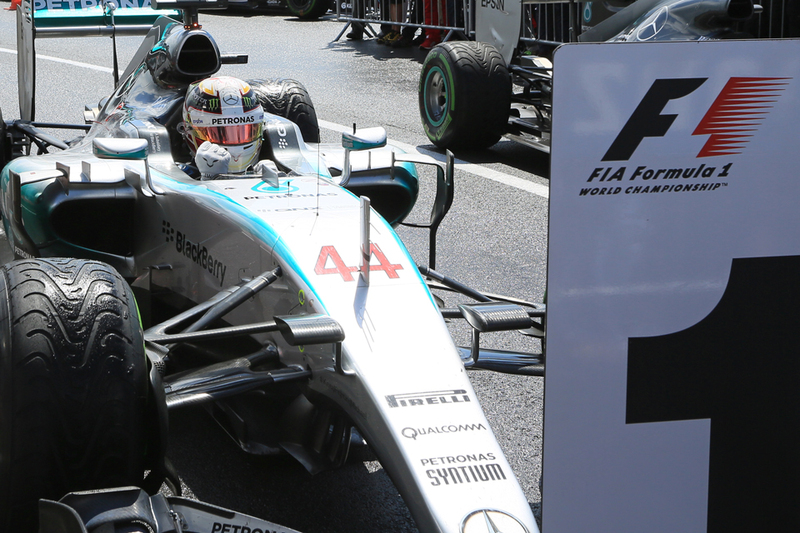 It lacks the postcard scenery and undulations of Spa, the intensity of Monza and certainly the glamour of Monaco. The late Christopher Hilton once noted, possibly harshly, that "people get emotional at Silverstone but not emotional about Silverstone. 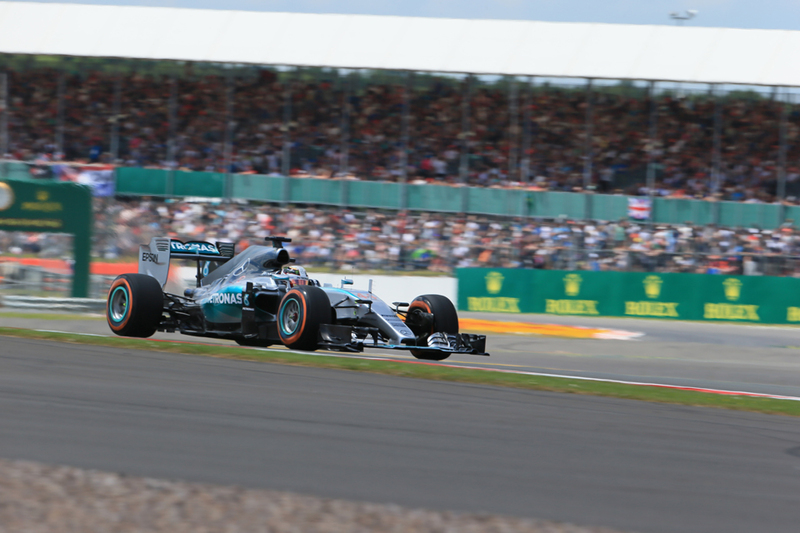 Even when they're trying to save it, they're doing it because they want the British Grand Prix to survive, not because emotion dictates Silverstone." Yet still few refute that the Northamptonshire circuit sits right alongside those events mentioned in being part of F1 furniture; some will perhaps even claim that it deserves to be prioritised ahead. And this is for a number of reasons. Chief among these is that it is F1's home town gig. Eight of the 11 F1 teams are based (or in Haas's case have a base) in Britain, and seven of these are within a few miles of the Silverstone track, as are a myriad of companies that supply them in this sport's equivalent of silicon valley. Most of their staff will be present at the circuit this weekend. It's also because it was at Silverstone that it all started for F1 back in 1950. And despite inevitable and sometimes extensive changes in the meantime it retains much of its character of then: flowing, rapid and with many long and mighty turns that challenge and entice the drivers. 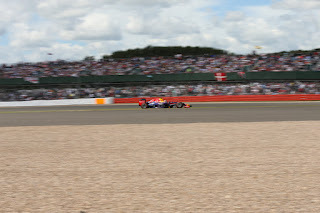 And in an age wherein such core support has had its back turned on it by the F1 itinerary, to be replaced more and more by rounds that owe to the host Government's desire to 'brand' the country and boost its tourism rather than to local motorsport passion, Silverstone's crowds remain both numerous and possessed of an inimitable organic feel. It is almost alone on the entire modern calendar in that several tens of thousands can be expect to come through the door even for Friday practice. And while of course we can point at exceptions when the side has been let down, the public here also has a good record of respecting all-comers rather than only the local favourites. Eddie Cheever, in the dark but recent days that this race looked to be under threat, summed it all up by stating "F1 not having a British Grand Prix is like the Pope not going to the Vatican". 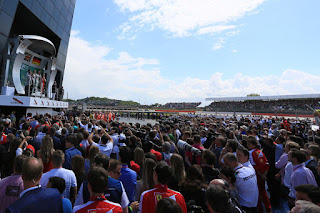 Thankfully this absurd peril around the race's future has since receded; the contract to keep the race at Silverstone all the way to 2027 is in place and in recent years the venue has undergone its most extensive revision since its early days. A significant detour has been added and in 2011 the start line was moved to between Club and Abbey, in deference to the new 'wing' pit and paddock complex there. The move added to the place's curiosity as it lent it a strange, out of context feel, almost like the paddock and fraternity had been picked up and moved away from where everyone else is, especially as most of the infrastructure around the 'wing' while promised has even a few years on still to arrive (there even is a shuttle bus to cart the paddock folk back and forth from the car park at the other side of the track all weekend). But it did mean that no longer can Bernie claim that Silverstone is the sport's straggler facility. He's now found a few other classic venues to threaten instead, at least for the next while. 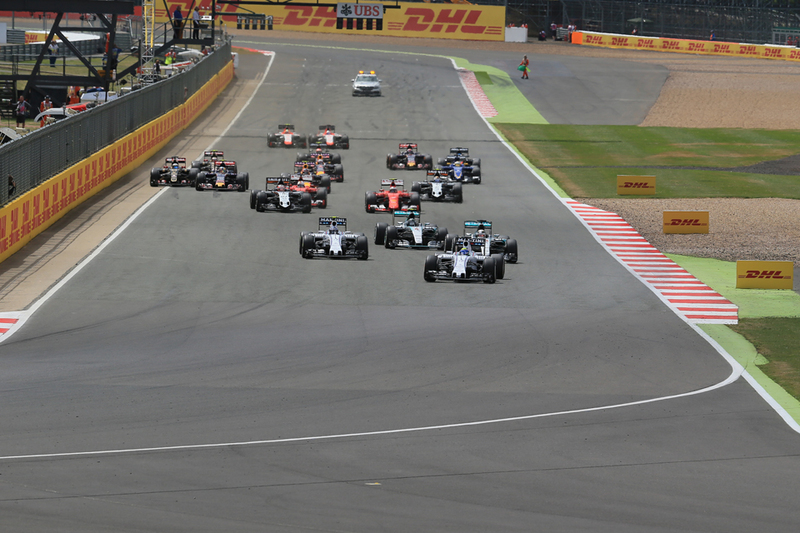 And these aren't the only ways in which Silverstone is a break from norm. Its long, fast corners mentioned provide a very different challenge from the more technical and fiddly last few stop-offs of Monaco, Canada, Azerbaijan and Austria. Indeed the sort of challenges faced at Silverstone sadly are rather scarce on the calendar as a whole these days. There are some reasons to expect a close battle this weekend. 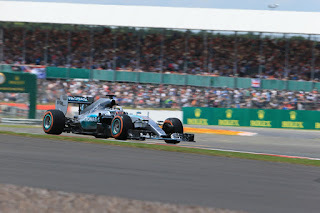 Mercedes of course is favourite, as its chassis is strong in high speed turns, there are a few opportunities here for its sweet engine to stretch its legs and its strong energy recovery is rewarded well here also, as Silverstone has few big braking zones making energy harvesting a challenge. The silver cars also have disappeared into the distance here (at least eventually) in the last two visits. While rewinding to the previous similar-ish circuit this season in Barcelona the Mercs placed a comfortable one and two in qualifying. Before, you know, that. As for its drivers, Lewis appears to have inherited Nigel Mansell's habit of finding extra resolve for his home race. He of course won here in either of his last two visits, while his 2013 drive through the field to fourth after an early puncture possibly was the drive of anyone of all of that season. Then we have him clinging to Mark Webber's coat tails in 2012 as well as his 2008 win here which was one even of his finest. Despite all of this and his home hero status though there will also be much attention on his team mate Nico Rosberg this time, given what went on in the final lap in Austria and that after the last occasion on which he was blamed squarely for a clash with his team mate, at Spa in 2014, his form took a while to recover. But as intimated there are reasons to expect a fight to be taken even to the Mercs this time. Perhaps particularly so by the Red Bull machine which is reckoned to be the best of the lot in high speed stability which will serve it well around Silverstone. Its relative lack of grunt and harvesting from its Renault unit will be more of a concern but as witnessed last year from Williams if the Bulls can get ahead of the Mercs, perhaps in qualifying, then the Mercs' Sunday becomes far less simple. Ferrari could be in the mix too, as its car seems to have gently improved in raw pace at least in recent times and Sebastian Vettel reckoned in Austrian qualifying that without rain he'd have been right there at the sharp end. Of course, Austria's race indicated that just like Red Bull with its tyres the Scuderia hasn't quite yet licked its strategy problems entirely. 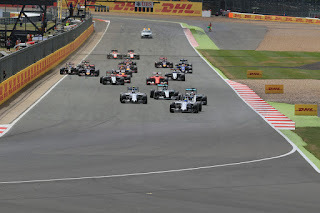 As for the rest, Williams has an encouraging recent previous here including of course leading in a 1-2 throughout the first stint of last year's race and some thought they might even have won with a ruthless strategy and the rain staying away, while Valtteri Bottas's race here in 2014 to second from starting 14th was astonishing. Force India has been in good form lately, while the Toro Rosso like its A team has a chassis known for being super-stable in high speed turns and therefore will be worth keeping an eye on also. Strategy may conform to the recent pattern of aiming for a one-stopper in advance, but some as the race situation unfolds deciding to switch to two. In the prior two Silverstone visits one-stoppers have been the thing (though rain spoiled the plan last year) as the medium and hard compounds brought ran all day and had little between them on the stopwatch. It's tricky to overtake at this circuit, what with there not being a big braking point anywhere plus it can be hard to follow in another's turbulence through the long corners, so this could further nudge competitors towards a single stop. This year of course there is a softer tyre option brought too - the soft compound which most will qualify on and the top ten will start on presumably. This could push them towards stopping twice, though last year some did what was supposed to be their solitary stops after only 19 or 20 laps, so many this time may try to stretch out the soft tyre to then to make their sole halt. With so many teams close to home they will be tempted to shuttle back and forth from their factories to try out new pieces on track. Not everything about being at home is comfortable in F1. That rain isn't likely to disrupt practice running will help a little bit on all of these matters though. It is a high fuel consumption track also, so the dreaded 'lift and coast' may be put into practice if there is not a safety car period, and this characteristic too will further scrutinise the cars' energy recovery. But whatever is the case, just be glad that this one still exists. Even if you're not much of a patriot.